Understanding Ascension - What Does Ascension Feel Like? Can you explain the significance of the physical things that we will be experiencing as we become ascended Beings? You are already noticing them. Many of you have been going through ascension for some time now. We have been talking about ascension the whole time that we have been doing this series of readings. The tiredness, the increased synchronicity in your life, the increased emotion that you feel, the increased frustration, the putting on of weight, all these are aspects of ascension. What does Ascension feel like? Although putting on weight looks like the opposite of ascension because you are getting heavier, remember we have also talked about the key to ascension being to completely descend into onto the planet. So experiencing all of these things that we have been talking about are just indications that you are fully moving into being on the planet. One reason that you are sleeping more is that you are having difficulty staying grounded while you are awake. We can interchangeably use the idea of being grounded and descending, they are the same. Being grounded does not mean shutting down your awareness of higher information, it just means being strongly rooted in the earth while it is coming in, so you can be a conduit rather than having information get stuck coming or going. And as you spend more time consciously into your physical body than you were before, you require more sleep. 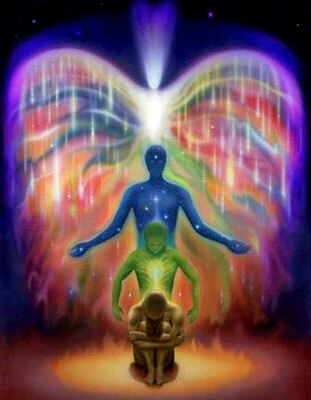 Prior to moving into ascension you were not as present as you thought you were. As you have moved into ascension you have moved more fully into your body. And so by doing that, when you leave your body it is more observable. You feel tired and you sleep more, or when you have emotions and you are more physically moved into your body, you feel them more strongly than you do when you are ungrounded because that is part of the physical experience. So it might seem initially contradictory but it is really not. The more you move into your body the more you become consciously third dimensionally aware of your multidimensional experience. So the contrast is more evident? Yes, because before when you were less conscious moving in between was not as noticeable. But the more conscious you become, the more noticeable it is when you are unconscious. You are beginning to understand how to consciously creation your reality. This is a significant transition for you as a humans and has never been done before. So far it has been very successful. You have not exploded, you have not gone crazy, you are all functioning and you are functioning increasingly well through this. Nobody expected it to go this way. And you were not set up like rats in a lab or anything because you knew that if it went wrong you would return to source or ascend quicker so the worse case scenario was not so bad. And remember too that you orchestrated this in conjunction with us. You were the braver ones. How are we going to feel differently when we have completed the ascension process? For starters, you are going to stop thinking about it and talking about it so much. You will know that the ascension process is complete when you lose interest in it and you are no longer striving toward completion and you become interested in something else. This is a very relevant question because you are all focusing so hard on ascension as a future event that you cannot see that you are ascending right now. It is simply a change in perception, not a state to achieve. Who you are does not change, your perception of who you are changes. This is heaven on earth. You are heaven on earth. Do not be confused by the fact that there are wars going on around earth. This is heaven on earth. Heaven is a perception of reality. You contain heaven. You are the molecules that establish the presence of heaven in this time-space moment, and to take it a step further, you always have been. Ascension is simply a more conscious awareness of the heaven that you are in any given moment. 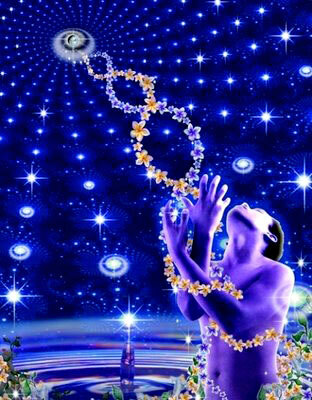 Your intellectual interest in ascension fuels your consciousness in that direction, like a space ship or a rocket ship. The desire to mentally understand ascension is what propels you into the ascension process, but ascension itself is not an intellectual concept. Keep in mind too, that so much that much of your ascension process has occurred beyond your conscious awareness. Theorizing about ascension has merely been an interesting way to keep your consciousness otherwise occupied while the rest of you went on with the process. Let your mental understanding of ascension go for a moment and listen as we say the word and just feel it. Do not hear it, do not think about it, do not listen to it, just feel it. Ascension. See? that’s all there is to it. Now we can go back to talking about it if you want to. As we gain awareness of the other dimensions and alternative realities, will we be able to move from one to the other and back to third dimension? Yes, and you already are, you are just going to begin noticing that you are and the awareness it is already there, it is peeking through. Let’s give you some examples of how you have experienced this without recognizing that you have. One way that you know that this is happening is decisions have become easier for you. Have you noticed this? There was a point there when making decisions was just excruciating. There were so many options out there and you felt like any time you made a decision you were leaving so much behind, or everything was riding on it. Even small decisions, remember how overwhelming that was a few months ago? And now it is not like that, now you just make decisions and then you make other decisions and then you make other decisions. That is an example of tuning into this multidimensional awareness, because you can see how you are not really choosing, you are just focusing. And so that inherently includes everything else and that in itself makes making decisions easier. Yes, and you say that like it is no big deal to reach that feeling. In the past that feeling was very difficult for you to achieve. You could not find the peace in making decisions. So that feeling you described, it makes such logical sense to your mind and it seems like something that you have been experiencing a lot lately and that that is very different than it was even a few months ago. That split second is the key because you let go of control and you move into trust. That feeling of trust is very similar to the sensation that you experience just before you fall asleep, just as you surrender into sleep, and that is a useful way to get used to the ascension process that you are in. It is not concrete, it is a very nebulous and in continual movement. This is what being consciously aware of your ascension feels like. All of the details that occupy your waking life, all of the decisions, all of the choices, all of the options are distracting you from your awareness of ascension. It is imperative that you get clear on this so that you are able to keep a foot in both worlds. We suggest that you become comfortable in that undecided place and that is going to be a good practice for consciously moving between the third and fifth dimensions. So behave as if the future that you have been working toward is here now, because in truth in is. And that means in financial energy decisions, make decisions as if you have the money to do what is yours to do, because you do. And in relationships, engage as if the person you want to have a relationship with is behaving as if they have all the awareness that you have and it will either fall apart or come together more quickly.